I have been giving this blog a lot of thought recently. A lot of thought because while I am struggling with Mom’s MS, I am also trying to retain a positive outlook on life. I am trying to cope with the struggles of this disease and the progression of it without allowing the negativity of that to overtake my thoughts. I feel like in a lot of ways this blog has become a negative place for me recently because that is how I have felt. But at the same time, I need it to also be a positive place. A place I enjoy coming outside of my daily world to lose myself with myself- my experiences, my struggles, my funny moments. I need it to be my MS Recess. I thought about starting a new separate blog but then I realized I needed to just live up to the name I gave this one when I started it..almost like I was foreshadowing how I was going to deal with Mom’s MS..I just didn’t know it. Since recess is often considered a break in the day, this blog needs to be my break in the day. The break where I can vent my frustrations or share some laughs. A place that can be serious or silly. A place where I share more of who I am both as I deal with Mom’s MS but also share more just as I just live my life. Because it is all intertwined whether I like it or not…both portions are part of who I am. How I manage the background feelings that are always there about Mom’s MS while also managing my own life as a 29 year old outside of Mom’s MS.
To try to overcome the negative, I have decided to mix in some “me posts.” Show who I am, show my life but not sugarcoat the moments of struggle. Because I am struggling. A lot. I also recognize I need to find a way to fight it and I think this may be a good trial- to see if this is a good place and a good way to do it. This afternoon at the grocery store, I left Husband standing in line as I boldly proclaimed-I need to buy myself some candy corn in honor of the Halloween season. I happen to have quite an affinity for candy corn and every week as I have done my grocery shopping for the past month I have made up an excuse about “why I don’t need it.” Today I finally gave in and bought it- and not only the taste but the nostalgia of it has made me smile all evening long! Any thoughts on my new approach to this blog? Is there a particular seasonal treat that makes you smile? 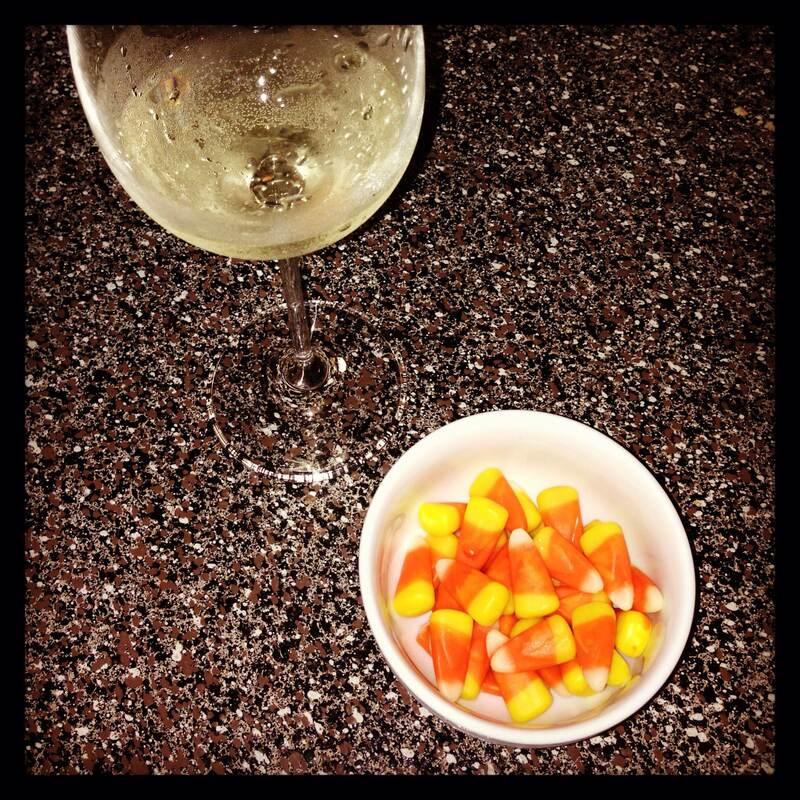 Candy corn seems to be so polarizing- people either love it or hate it. Which camp do you fall into? Husband is not a fan. This entry was posted in Uncategorized and tagged everyday life, life treats, Multiple Sclerosis, my mom has ms, nostalgia by AG. Bookmark the permalink. I think this is the perfect approach! What I am reminded of in my own struggle to find a “new normal” in my life with a husband diagnosed with CIDP is that you really can’t ignore the 5 stages of grief no matter how hard you try—it will find you! So with that being said finding the balance takes time and alot of trail and error. Hang in there and know you are not the only one out here struggling to find the way and that sharing thoughts helps us all. Hi Pam, Thank you so much for your comment and support! I really appreciate your words and appreciate you hanging by as I struggle to find my way..it helps to know we are all struggling in our own ways together. Take care!